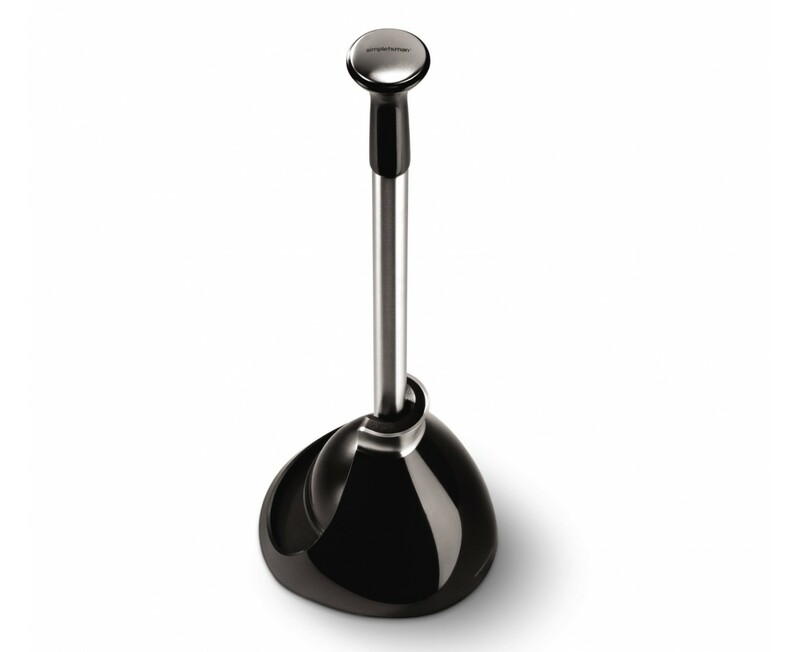 A unique magnetic collar secures the cover to the plunger's stainless steel rod so you can carry them together — without drips. 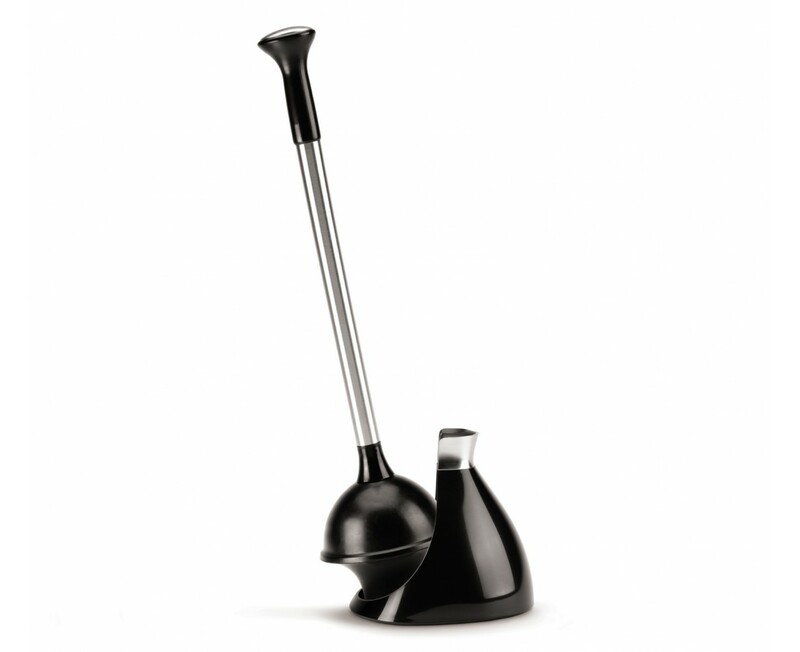 The cover's large opening makes the plunger easy to detach. The cover also hides the plunger discreetly out of sight when not in use. The plunger flange has a long and narrow profile specially designed to work more efficiently with modern toilets. Durable, high-quality stainless steel rod stands up to vigorous use. I like the plunger for several reasons. I like the simple design. I'm not into the fru fru stuff. I like the simplicity of the design. It goes with whatever decor I choose to have or chance in my bathroom. It's no obtrusive. I especially like like the magnetic feature that places the plunger back into it's holder when you close to the opening. With kids that dont' quite get it into the holder and don't wait to see that it's back in it's place. This has been a real blessing. 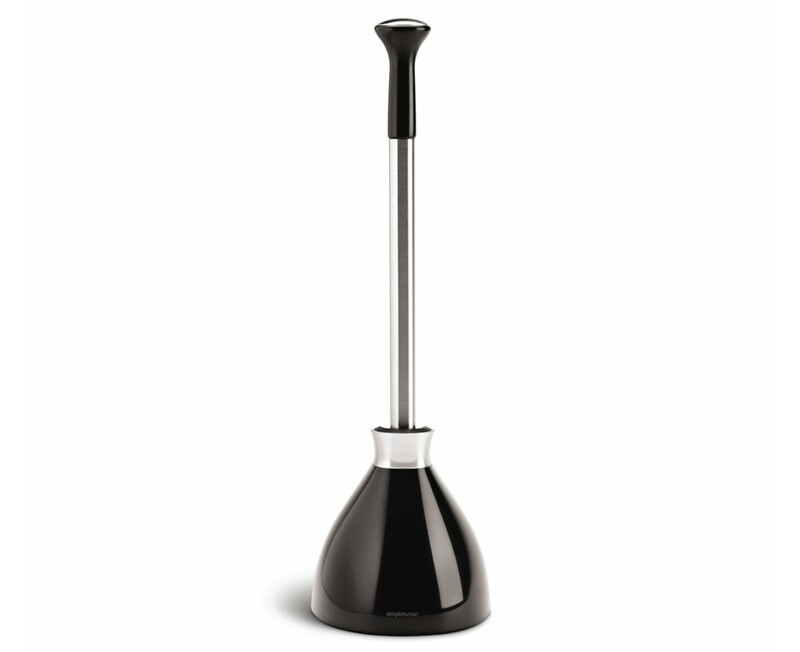 It also helps that the plunger itself is a strong heavy duty plunger. I'm sold on the simplehuman product line. Very well thought out designs. Kudo's to the design team! I love this plunger. I bought two and they look so great. They work well and look beautiful.